The mullet run has been great this year! 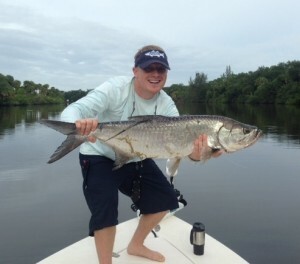 Despite the Okeechobee runoff, the snook and tarpon have been feeding like crazy from the beaches back to the St. Lucie Locks in the South Fork. Lots of tarpon have been caught at the Crossroads dragging large live mullet along the Northeast corner of the Crossroads at first light. 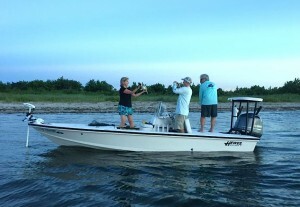 Large mullet can be caught at Bird Island and the the closest small island located in front of Manatee Pocket. Simply drag them slowly from that Northeast corner of the Crossroads to Boyscout Island along the East side of the Channel. Tarpon have also been caught in the channel near the inlet and close to that wood tower near the inlet. 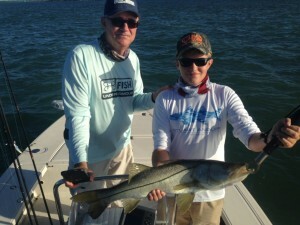 The snook have been best at first light along the jetty’s. 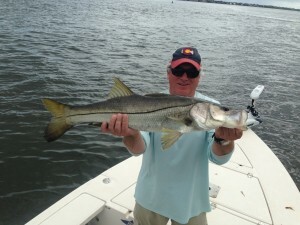 As the sun shows up, tons of mullet come inside the inlet to get chased by snook and tapon. Lots of nice snook have also been caught back at the St. Lucie Locks far back in the South Fork as they chase the mullet back there and pin them up against the locks. Some great lures have been the LiveTarget Mullet, DOA BaitBusters, Vudu Mullet, Bombers, Storm, and Yo-Zuri. Hopefully this wind dies down again soon to look for mullet schools along the beaches. Don’t let the Okeechobee runoff keep you from fishing… it’s going off! !